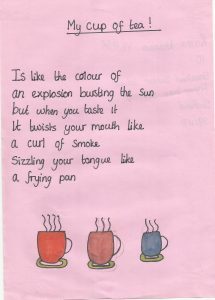 In February 2009, we launched our first open call poetry competition, ‘Poetry for Mugs’. 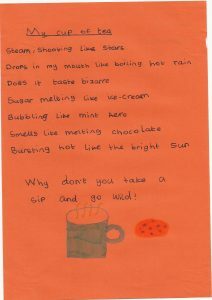 In just 8 weeks we received over 650 entries from around the world. 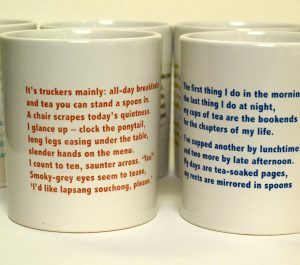 Poets were asked to produce a short poem entitled ‘My Cup of Tea’ to be printed on a limited edition set of mugs for use in our cafe, which was due to open later that year. 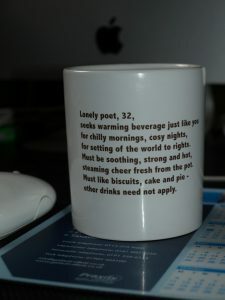 We set a line and character length so that poems would fit onto the mugs. 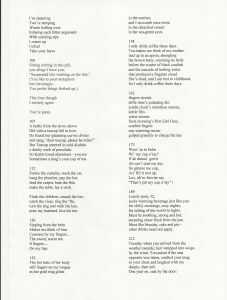 The project was managed exclusively over the internet: the result was entries from all over the world including submissions by established poets to first timers who were inspired by the novelty of the idea. 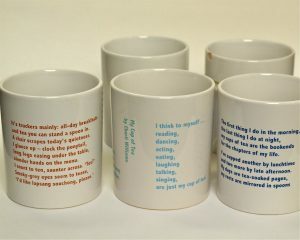 Four poems were selected and published as a limited edition set of mugs. 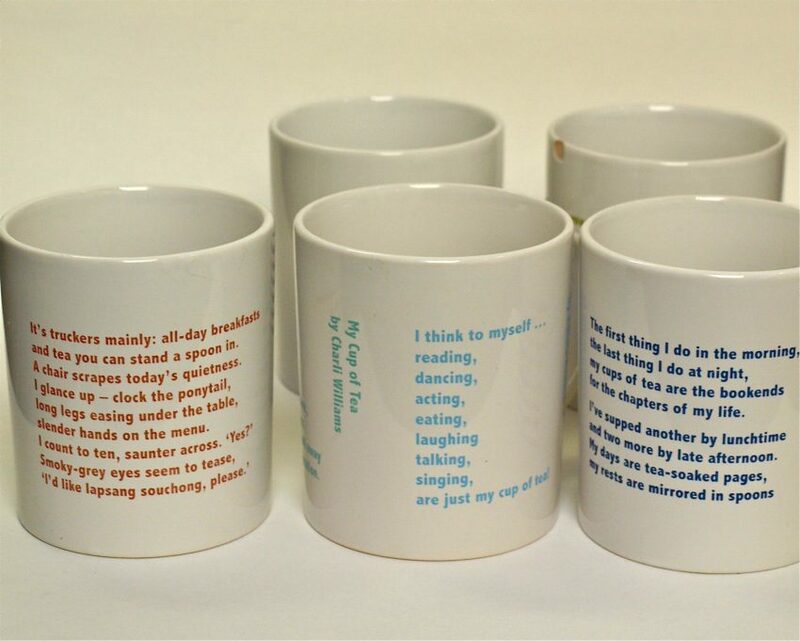 The selected poems are shown on the mugs in the photos. 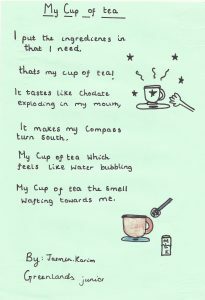 Let us know whether they are your cup of tea …. 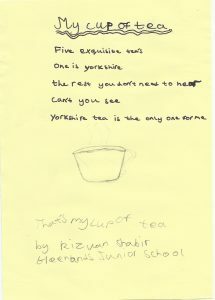 In the Summer of 2009, we ran another competition under the same banner as part of Sheffield Children’s Festival – the resulting poems from over 350 children were displayed on a huge Poetry Wall in the Atrium at Bank Street and a selection were printed in a small limited edition book and 2 winners on a commemorative mug.